Thus far in this series, we’ve looked at field,aviation, diving and racing watches. These are watches with specific tasks in mind, where form followed function. What about a watch whose only function is form? Today we’re going to take a look at dress watches. Remember, dress watches aren’t going to be read quickly in dynamic environments the way a sport or military watch would. As a result, large, high contrast dials aren’t necessary. Combining all of these features results in a watch which is small, subtle and compliments the formality of the event to which it is worn. 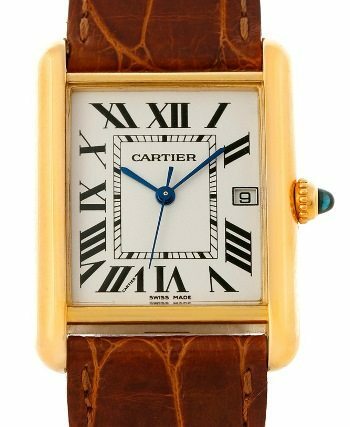 The Cartier Tank watch was designed around the time of WWI and so-named because it resembled early French tanks when viewed from above. It was a favorite of JFK and with good reason; it’s difficult to think of a watch that looks more presidential. The tank features a square case and distinctive roman numeral hour markers in black on a white dial. It is available in quartz, handwind or automatic movements with prices starting around $2,000 for quartz, all the way up to about the price of a small house for the diamond encrusted variants. If you like the design, but think that up to $8,000 is outrageous for a quartz watch, consider one of the many Tank homage watches available for less than $200. 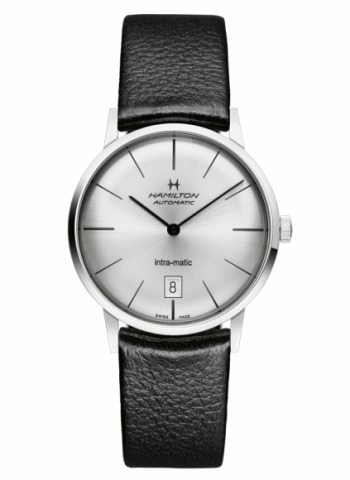 The Hamilton Intra-Matic is a really nice looking watch that evokes the design aesthetic of the early-1960s. The clean lines and optional silver dial make it subtle enough to excel as a dress watch, yet unique enough to avoid being “just another dress watch”. Like all Hamiltons, it uses an ETA movement and a sapphire crystal. It comes in 38 or 42mm diameters and gold or silver finish, so there’s one to suit you wherever your tastes lie. I wasn’t sure what to make of Tissot at first. They’re known for their sport watches, many of which just aren’t my style. Then I discovered the Heritage line. The Tissot Heritage Visodate looks like something you’d see on the wrist of a physicist at an atomic research lab in the 1950s. That’s a compliment, by the way. I love the look of this watch. It’s available in white and silver or black and gold. The large day/date window looks considerably more discrete on the white and silver, plus that combo just screams space-age. 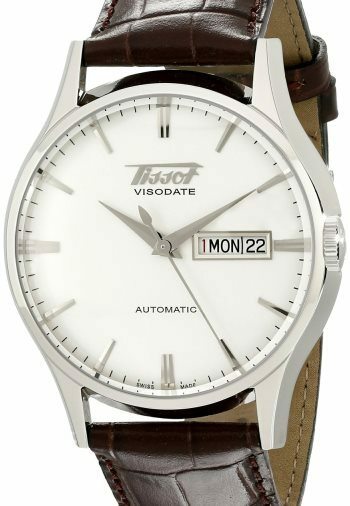 Tissot is a Swatch brand, so it uses an ETA automatic movement like the Intra-Matic we talked about earlier. At 40mm it will fit most wrists. It isn’t terribly thin though, so wear your best dress shirt when you try it on to make sure it fits well. The Seiko SRN052 has a couple of features that really make it stand out. First, the day subdial below the date window. It makes the watch unique, yet isn’t a distraction from the overall presentation. Second, it uses Seiko’s Kinetic technology. 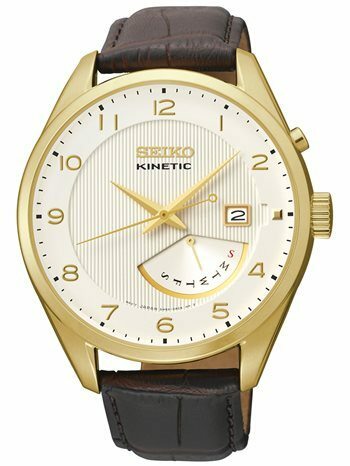 Kinetic is to quartz watches what automatic movements are to mechanical watches. While an automatic uses a rotor to keep the mainspring wound as the wearer’s hand moves, a Kinetic uses the wearer’s movement to charge the battery that powers the quartz movement. It’s the best of both worlds; the accuracy of quartz, without the hassle of having to change batteries. Not bad for less than $200. When it comes to ultra high end Swiss luxury watches, the sky is really the limit as far as price is concerned. The bottom end is around the price of a used car, while the top end is literally in the millions of dollars. 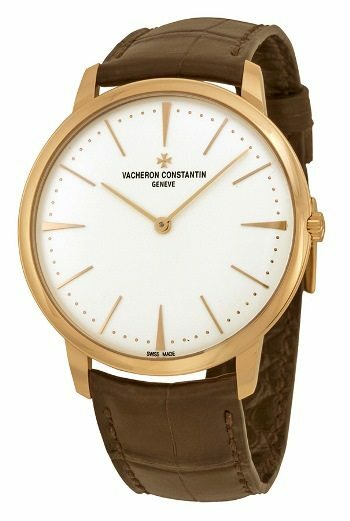 The Vacheron Constantin Patrimony is on the low end of that range at “only” $15,000. That’s not unreasonable, even if it is unreachable for most of us. A watch like this is hand assembled, usually taking weeks or months of extremely skilled labor. It doesn’t use a mass produced movement like a Swatch or Seiko brand. It uses a movement designed and built in-house by a master craftsman. For all that, the finished product is extremely refined. The presentation is elegant, but straightforward and slim, at less than 7mm. You Need a Dress Watch. You can get by without a field watch. Aviation, diving and racing watches are specialized tools. You don’t need one if you don’t participate in those activities. But every man will be required to dress his best at some point. It may be an important meeting or a job interview. You don’t have to wear a watch at a wedding or a funeral, but if you do, it has to match the formality of the event. 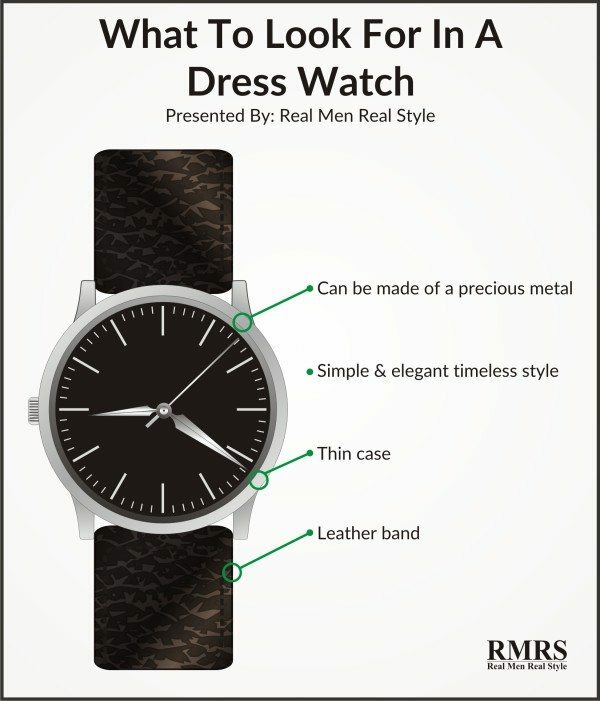 A dress watch is the only watch that will serve at formal and business events. For this reason, the dress watch is the only watch in your collection that is absolutely indispensable.